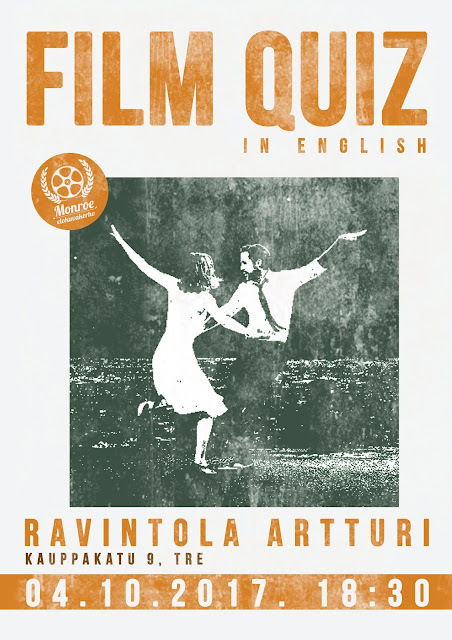 FilmiLiekki: Film Quiz - It's gonna be a thing! Film Quiz - It's gonna be a thing! Film Club Monroes FILM QUIZ will be held in english once a month (first Wednesday of the month), starting today! Three best teams will win a prize every week. Come try it out! "Tonight I'm gonna have myself a real good time"